Since 1986, the Berlin International Film Festival has presented the Berlinale Camera to film personalities or institutions to which it feels particularly indebted and wishes to express its thanks. At the 62nd Berlin International Film Festival, Ray Dolby will be awarded the Berlinale Camera in recognition of his work as one of the most important engineers and inventors in the film industry. Ray Dolby revolutionized sound in cinemas and contributed greatly to making films the acoustic experience we know today. By installing multiple loudspeakers and applying multi-channel technology, Dolby surround sound introduced viewers to the feeling of being fully immersed in the moment. Ray Dolby’s first surround sound technology — Dolby Stereo, introduced in 1975 — was quickly adopted by movie theatres worldwide, as films like “Star Wars” and “Close Encounters of the Third Kind” — both 1977 films — were released in the new Dolby sound format. Dolby Digital surround sound followed, which also later became the standard for home cinema audio with the introduction of DVD. Ray Dolby founded Dolby Laboratories in 1965 on a simple idea that came to him as a way of solving the issues around the hissing sound on audio tape. This was the birth of Dolby A-type noise reduction for the professional recording market, followed three years later by Dolby B-type noise reduction for consumer products. In the 1970s, Ray Dolby turned the company’s attention to cinema, transforming the entertainment experience for ever. In 1989, his work in the field was recognised with an Oscar for his contributions to the film industry; and in 2003, an Emmy Lifetime Achievement Award. 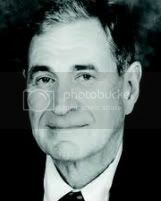 Ray Dolby served as a member of Dolby’s Board of Directors from 1965 until his retirement from the Board in 2011, although he remains Director Emeritus, while his son David Dolby has been involved in the management of Dolby Laboratories for a number of years, and since 2011 has been a member of the Board of Directors. The Berlinale will present Ray Dolby with the Berlinale Camera on Feb. 16. Since 2004, the Berlinale Camera has been sponsored by the Düsseldorf-based goldsmith Georg Hornemann. The trophy was redesigned for the Berlinale in 2008. Modelled on a real camera, it now has 128 components. From swivel head to tripod it has been crafted and assembled with great artistry, and many of its silver and titanium parts are movable.